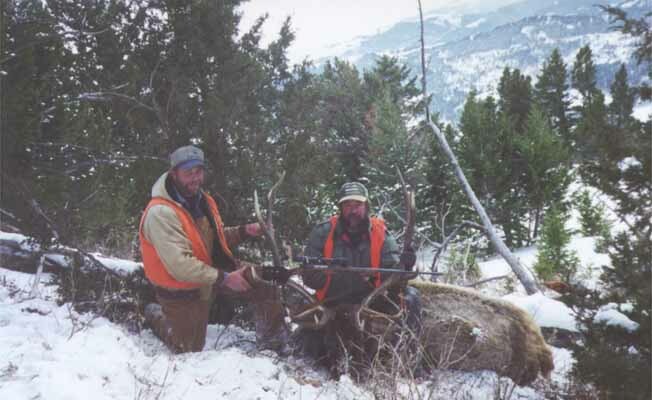 Lost Creek Outfitters specializes in big game hunting and bow hunting. We do bear, antelope, whitetail deer, elk, mule deer and mountain lion archery/rifle hunts. All hunters arrive and depart from Bozeman, Montana with transportation provided to and from camp. Each hunt runs from Monday through Saturday with Sunday being your travel day. Hunting camp consists of platform wall tents, each equipped with its own cots and sleeping bags to ensure a good nights sleep for a good day hunt. Hunting exclusively on private land, Jeremy Fatouros #9548, licensed guide, offers extensive experience and hunting know how. Lost Creek Outfitters is dedicated to providing all ages and levels of hunters with a quality Montana hunting experience.